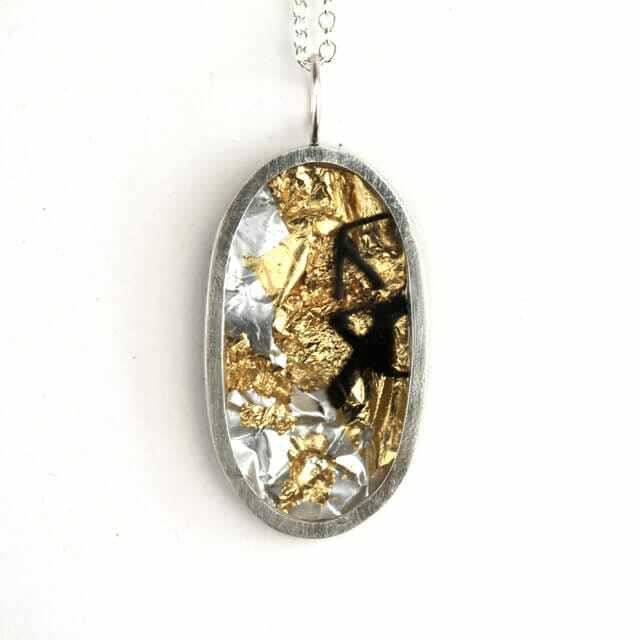 Gold and silver resin, with superimposed imagery set in a sterling silver oval pendant. Inspired by distorted reflection within the urban environment, this pendant is influenced the fragmentary nature of observation. 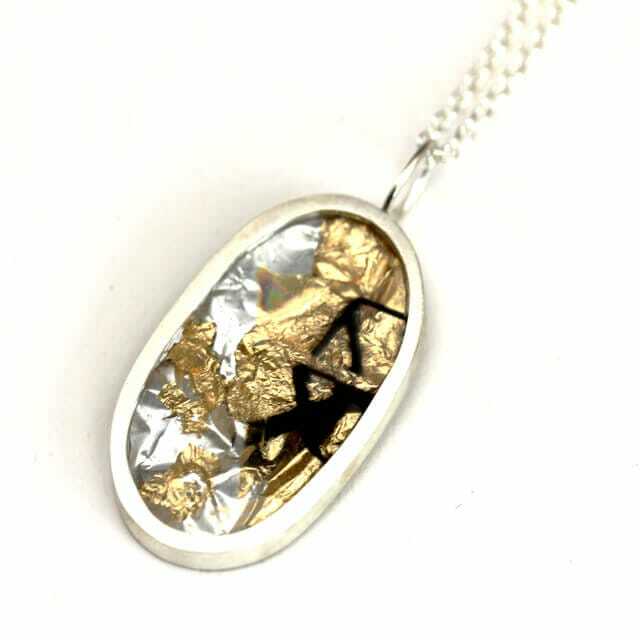 The combination of gold with silver, and the timeless design makes this piece a versatile addition to any outfit.